New Nokia Windows phones, definitely worth taking a look at! Microsoft continues to flesh out the Lumia range of Windows Phone smartphones, and has added the Lumia 735, Lumia 730, and Lumia 830 to the line-up. Their release is all about adding more meat to the Lumia bones, and targeting those who don’t want to buy a Lumia 930 or 1520, but still want the style and many of the features. None of the devices came as a surprise, having been systematically leaked in the lead-up to their announcement, but this doesn’t mean we don’t think they’re worth talking about. In many ways, the Lumia 830 is a more solid purchasing decision for those wanting Microsoft’s mobile OS, than any of the more expensive models. 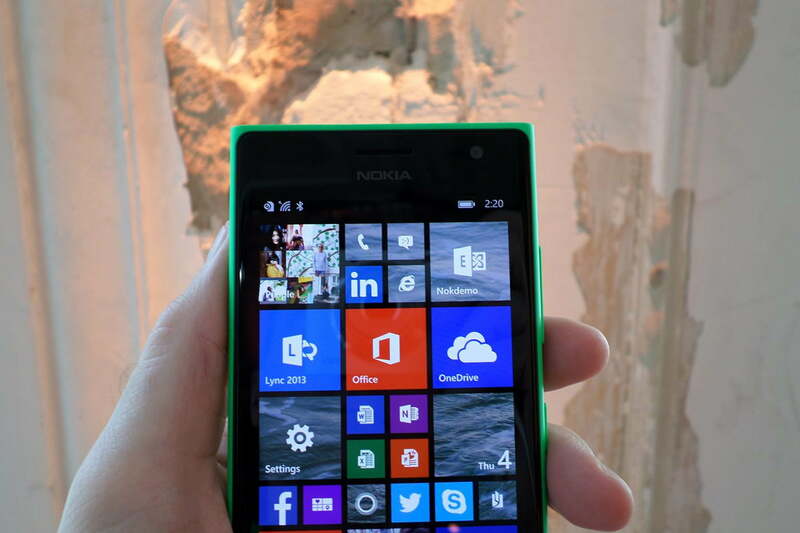 Is the Lumia 830 the only Windows Phone to buy? 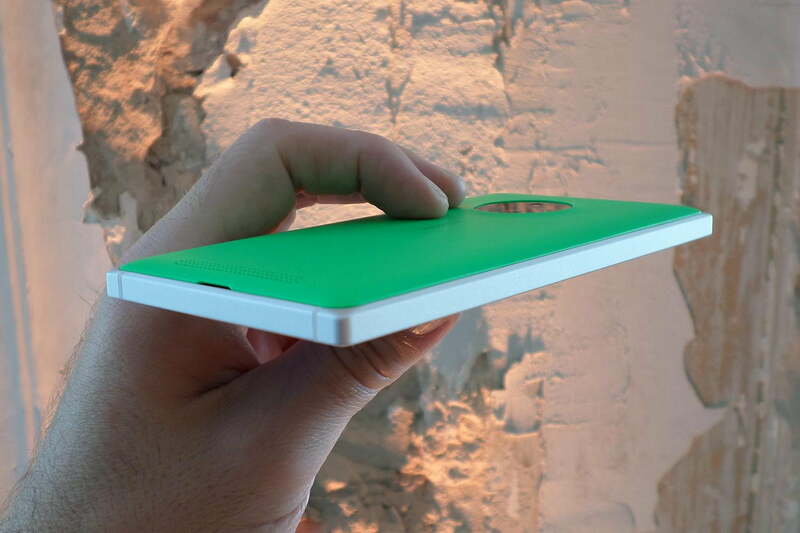 The Lumia 830 is very close in style to the Lumia 930, which is a very good thing. 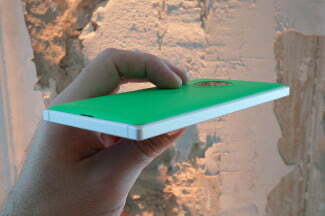 It has an aluminum chassis, a gorgeous Gorilla Glass 3 covered screen, and a brightly colored rear panel. The key difference is the polycarbonate rear panel snaps off, revealing not only a removable battery, but a MicroSD card slot too, and it’s ready to accept the largest 128GB capacity cards. It’s the highest spec phone in the Lumia range to offer this level of versatility, making it very appealing. Nokia’s subtly curved, ClearBlack IPS LCD screens have always looked great, and the one fitted to the front of the Lumia 830 is no exception. The display measures 5 inches across, and although the 720p resolution is low by today’s standards, it still looks beautiful. Windows Phone just shines on Nokia’s hardware, and the big, bold blocks of color that make up the UI look superb. Coupled with the metal body, few will feel disappointed about opting for the 830 over the 930, if their budget won’t stretch to the top-of-the-line phone. There are compromises throughout the spec sheet, but not as many as you would think. It has a Snapdragon 400 quad-core chip, and there’s only 1GB of RAM, but it still connects to 4G LTE networks, and has a 10-megapixel PureView camera on the back. The camera also has optical image stabilization, in what Microsoft says is wrapped up in its thinnest camera module yet. Coupled to the lightweight (150 grams) 8.5mm thick chassis, it makes spending more to get the 930 even less advisable. Microsoft will install Windows Phone 8.1 with the Lumia Denim software package on the Lumia 830. Denim brings all the Windows Phone 8.1 Update 1 improvements to the phone, along with a few new Nokia-specific apps. We saw one of them, the new Moment Capture camera app, in action. It’s like a burst mode gone mad, where a quick 4K quality video is captured with a long-press of the shutter button, and the result can then be broken down into 8-megapixel stills, allowing you to pick the best image. At 24fps, the video captures many more images at a higher resolution than a burst mode, giving you a lot more choice for your final image. 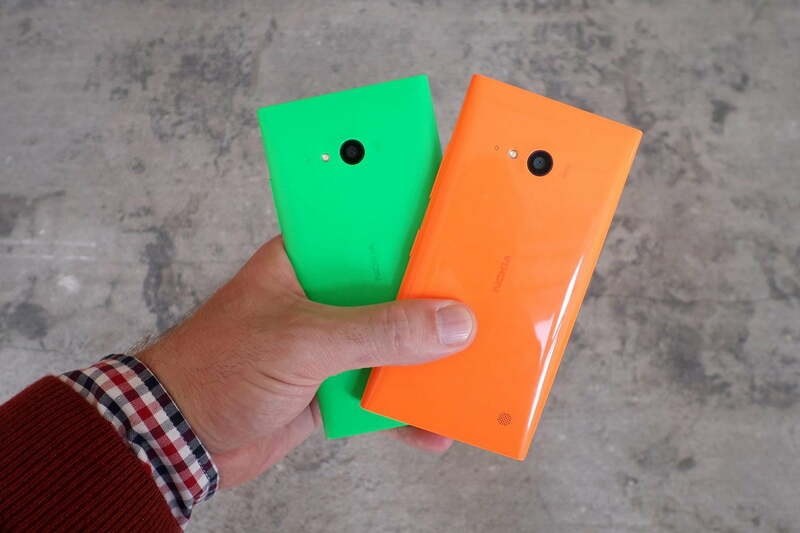 The Lumia 735 (and it’s dual-SIM, 3G-only sister phone) is nowhere near as exciting, or as tempting as the Lumia 830. 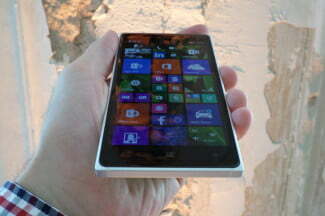 It’s designed like the Lumia 920, with a curvy polycarbonate body, and drops the specs down to an even more modest level. The screen still has a 720p resolution, but it now measures 4.7 inches, while the camera has 6.7 megapixels, plus it removes the PureView branding and optical image stabilization. 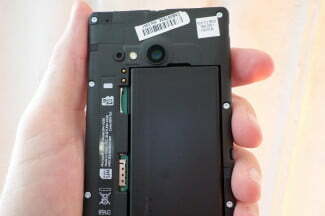 A Snapdragon 400 and 1GB of RAM power the phone, and the 735 can still connect to 4G LTE networks. The wrap-around plastic body can also be pried off, revealing the battery and a MicroSD card slot, but it’s a fingernail-bending job. 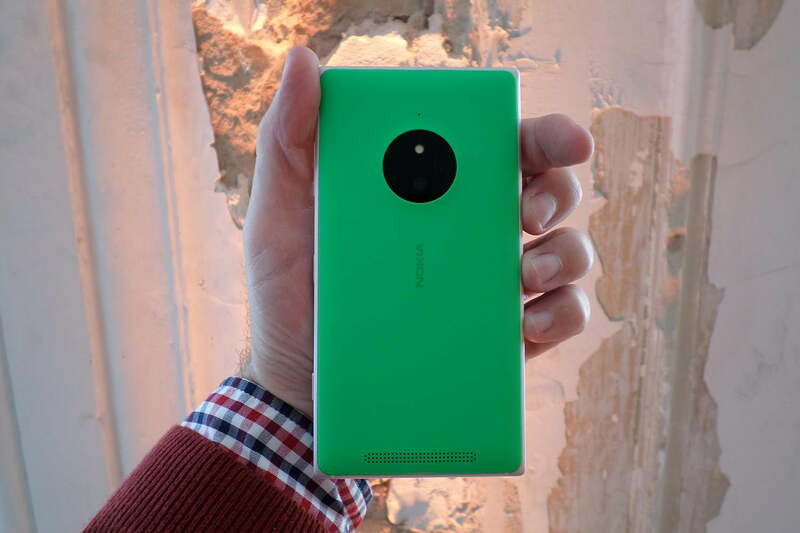 Why would you want to consider the Lumia 735? For taking awesome selfies, because the front camera has 5 megapixels and a wide angle lens. It’s the highest spec front camera we’ve seen on a Lumia phone, and we’re actually disappointed it didn’t make it onto the Lumia 830 as well. The two phones do come with the new Lumia Selfie app though, which has various filters and editing tools, plus an audio-guided mode for using the rear camera to snap a selfie. Handy for those Lumia phones without a decent front cam, and a feature derived from its use on Nokia’s Asha phones, which didn’t have one at all. You can see the Lumia Selfie app working in our photos, where I do my best impression of DT’s Deputy Editor, Jeffrey Van Camp. The Lumia 735 comes in several colors, and the option of a matte or polished look, but aside from the selfie cam, there’s little to recommend it over the Lumia 830, which has the potential to be the best Windows Phone device we’ve seen. Whether it does or not may depend on the price. 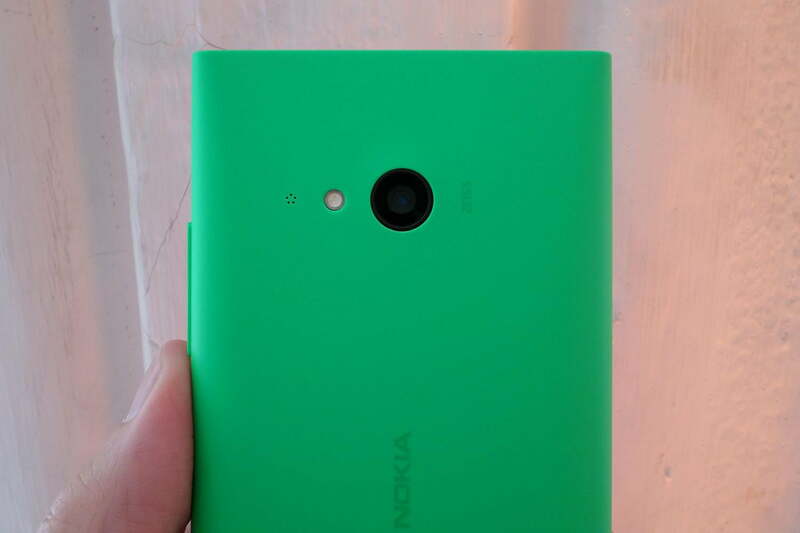 A converted, unconnected cost puts it at around $435, while the Lumia 730 should be just under $290. Both will go on sale later this month. 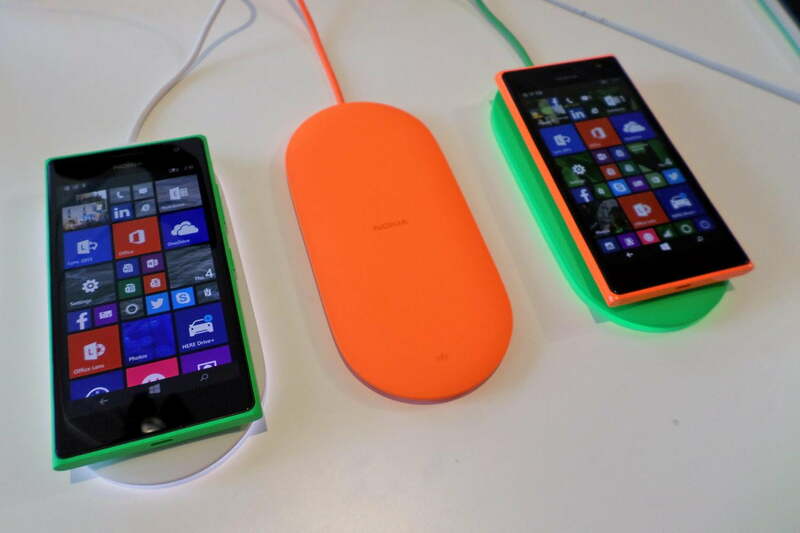 Finally, both new Lumia phones have wireless charging, and Microsoft also launched a new charging plate. In addition to charging your phone wirelessly, it’ll also connect to it by Bluetooth, and the pebble-like charging plate will glow when it senses the battery is running low. The brightly colored slabs light up below when the phone is on charge too, and look suitably sci-fi at the time. Expect to pay around $60 when they go on sale in October. Be the first to comment on "New Nokia Windows phones, definitely worth taking a look at!"